The veteran star of "The Wife" is overdue for a win after seven nominations. There are two ways to win an acting Oscar. One is to deliver the best performance of the year that is so undeniable that the critics, guilds and Academy rally behind it. The other is to be so overdue for an Oscar that voters realize that your time for a career statue has finally come. Elizabeth Taylor lost three times and then won statuettes for both of her next two nominations, for “Butterfield 8” and “Who’s Afraid of Virginia Woolf?” After seven nominations and an Honorary Oscar, Paul Newman finally took home the win for “The Color of Money,” which was really for “The Verdict” and all the other great performances before. This year, after seven nominations and no wins, Best Actress is Glenn Close’s to lose. But it wasn’t always in the bag. Many things had to go right. 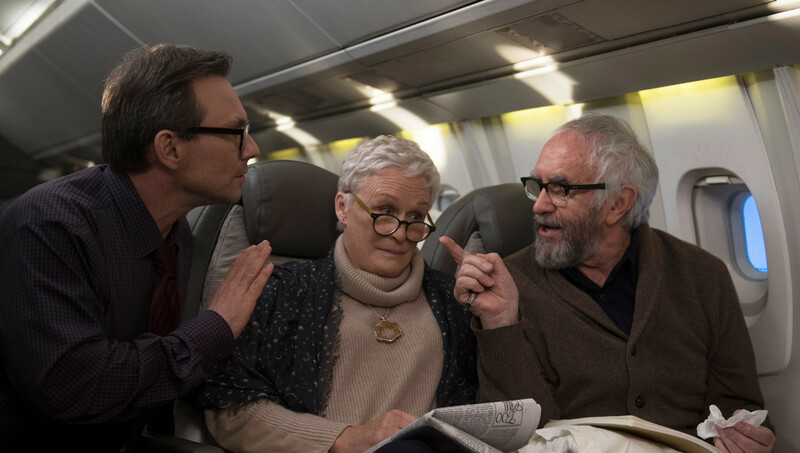 Sony Pictures Classics carefully timed the August 17 release of twisty drama “The Wife” (Metascore: 77), which showcases Close as a woman carrying heavy secrets as she supports her high-profile literary husband (Jonathan Pryce). “The Wife” had a long run in specialty theaters building to a robust gross: $9 million domestic (overseas it has notched almost as much) before hitting home video in late January, right after the nominations. At the start of the awards season, Best Actress was wide open. 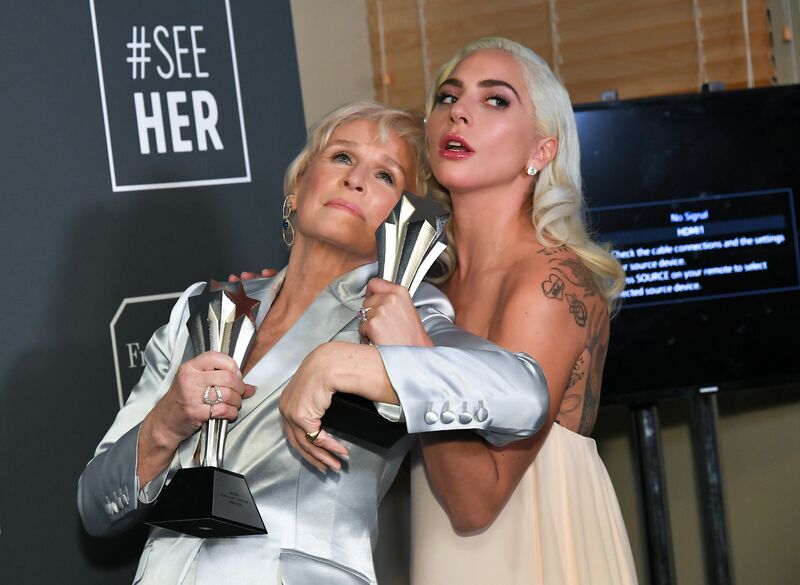 Lady Gaga won Best Actress for “A Star Is Born” at the National Board of Review, while Regina Hall (“Support the Girls”) won the New York Film Critics Circle, and Lady Gaga and Close shared the Critics Choice award. “The Favourite” star Olivia Colman took the Los Angeles Film Critics. But she and Close both won at the Golden Globes, for Comedy and Drama, respectively. Colman delivered a fine speech. But Close, who was genuinely surprised, threw away her thank you notes and spoke from the heart about her mother’s deathbed confession that her life as a Connecticut doctor’s wife hadn’t amounted to anything. It was personal, emotional, human. She won over the room, from “Fatal Attraction” costar Michael Douglas to fellow nominees Nicole Kidman and Lady Gaga, as well as the folks at home. And Close was off to the races, building forward momentum for her SAG win, which pushed her even closer to Oscar. Yes, Colman is still a strong contender (especially for this weekend’s BAFTAs) for her crazy yet vulnerable and empathetic Queen Anne. But while the British actress is about to become better known for playing the next stage of Queen Elizabeth in Netflix series “The Crown” — which has kept her off the full-time Oscar circuit — she is a relative newcomer in Hollywood and will have other shots. She often develops her own material, whether TV or film (“Albert Nobbs,” “Sarah, Plain and Tall”). When she commits to something, she digs deep into the script with the writer, and approves the selection of the director, in this case Swedish filmmaker Björn Runge. Anderson (“Normal”) adapted Meg Wolitzer’s bestseller about a smart woman who stepped back from her own writing to serve her husband’s career; her life is thrown into perspective when her husband wins the Nobel Prize for Literature. The two women deconstructed the script as Close asked question after question. Then the week before shooting began in Glasgow they met every day with Runge and the ensemble. “We put a fine-tooth comb through the scenes to trace the emotional journey,” said Close. Next up: Close has a new unannounced project, and she’s getting back into producing. “I am going back to some stories I had in development when I had a deal at Disney, stories I still love, which I am going to resurrect.” She’s open to a “Big Chill” reunion — she still hangs out with Jeff Goldblum and Mary Kay Place — but only if Lawrence Kasdan wants to write it.